The Mobile Symphony Youth Orchestra and Bellingrath Gardens and Home will present their Annual Mother’s Day Evening Concert on Sunday, May 12 at 5:30 p.m. on Live Oak Plaza. Enjoy a late afternoon of music surrounded by the beauty of the Gardens. Limited seating will be provided, but visitors are welcome to bring their own lawn chairs. 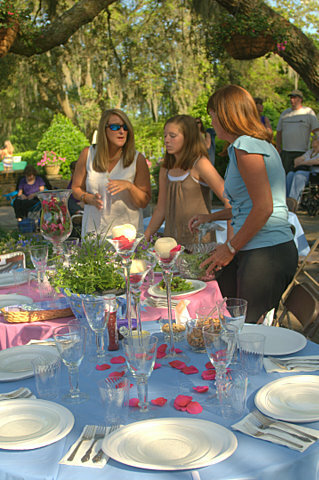 Guests are also invited to bring a picnic supper. You may reserve a table for 4 for $25, or a table for 6 for $30. The rentals include chairs and a table covering. Make your reservations early, as tables are limited. Beverages and snacks will be available to purchase on Live Oak Plaza. The concert is included in your admission to Bellingrath Gardens. Gardens admission is $14 for adults, $8 for ages 5-12 and free to Bellingrath members and to ages 4 and younger.